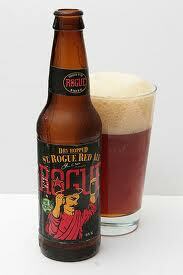 Rich copper-hued sweet-scented red ale peculiarity retains lots of natural organic sediment and carbolic fizz. Roasted barleymalt sweetness seduces spruce-hopped finish. Brewed to perfection and possessing more character than danged Killian’s Red.